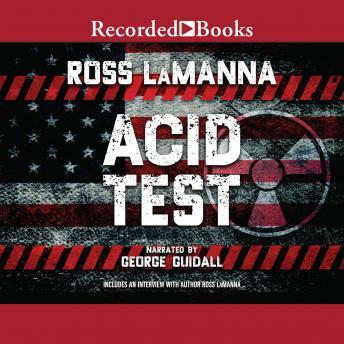 Acid Test takes off like a rocket in the first chapter and never slows down, speeding listeners around the globe for an electrifying adventure. The premise is chilling: What if the world was suddenly rocked by widespread murder, political chaos, and the peril of nuclear attack? The ruthless Batu Khan has forged an empire across Mongolia and central Asia. He has developed a frightening arsenal of weaponry and uses mind-altering drugs to give his minions superhuman strength. When Khan invades the Ukraine, the president of the United States issues an ultimatum-get out or else. But the president harbors a dark and deadly secret that may put countless lives at risk. Ross LaManna is a Hollywood screenwriter whose credits include Rush Hour. He fills this thriller with high-tech terror and non-stop action reminiscent of a Tom Clancy or Stephen Coonts novel. George Guidall's gripping narration captures each moment of the mounting suspense and danger.